Almost a decade after its first production at the Donmar Warehouse, Michael Grandage’s production of Red returns to the London stage, this time in the heart of the West End at the Wyndman’s Theatre. The play follows a fictional account of artist Mark Rothko and his newly appointed assistant Ken, between the years 1958 – 59 during the time of a cultural shift within the arts, as the emergence of Pop Art began to slowly push remnants of Expressionism away. One might think that such a story would best suit an audience with a solid foundation of knowledge on 20th century artists, however, the universal themes and overall plot of the play will resonate with anyone with even the remotest interest in the arts. For ninety non-stop minutes the audience is taken through a whirlwind of Rothko’s intensity, an emotional roller-coaster. The set remains the same throughout, and is accurately based on Rothko’s original studio in New York’s Bowery. Around the studio are various interpretations of Rothko’s paintings, which are moved around by both actors during each transition and placed on the central canvas holder. Each transition, though not always clear, offers a moment for the audience to reflect on the painting in question, almost as if given a quiet moment in a gallery to take in the picture fully. It is quite remarkable, and a testament to both the actors, Alfred Molina and Alfred Enoch, and director Michael Grandage, that there is never a dull moment in the play despite the fact that most of the action could be seen by some as rather mundane. There is incredible attention to detail with the set, with each part of it serving a purpose throughout the play. In every scene we see the actors using the space as artists would; setting up and priming canvases, mixing paint to name a few. The only one thing the audience never sees either Ken or Rothko do, is actually paint. 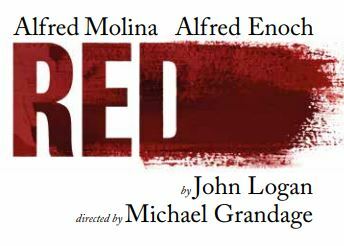 This immense focus on naturalism, as well as the genius of John Logan’s writing, makes Red an incredibly compelling piece of theatre to watch. From those who frequent the Tate Modern, to those that have never stepped foot in a gallery before, Red highlights the arguments for the importance of the arts in society today. It may even inspire one to revisit forms of art which one may have before deemed as inaccessible. Almost a decade after its first performance at the Donmar Warehouse, Michael Grandage is reviving his Tony Award-winning production of John Logan’s Red. 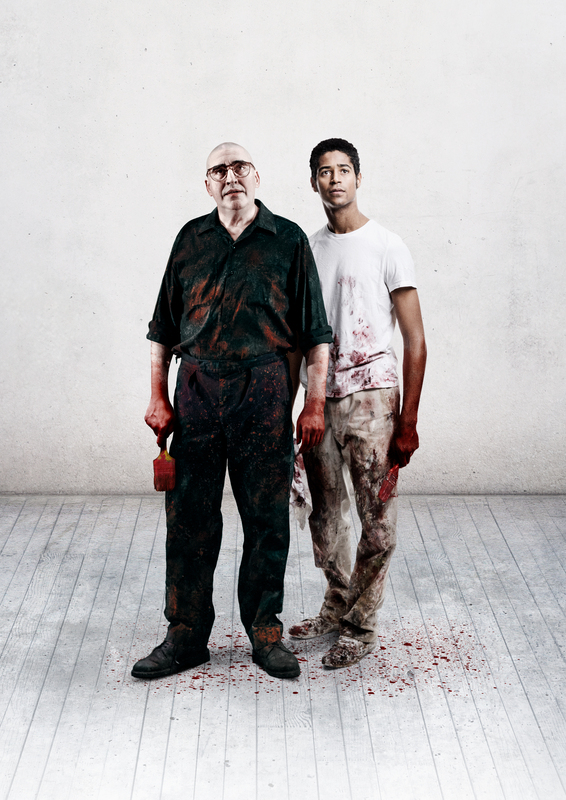 The performance, featuring Alfred Molina reprising his role as the twentieth century artist Mark Rothko and Alfred Enoch making his West End debut as his assistant, Ken, will preview from 5th May and open on 15th May at the Wyndham’s Theatre. I recently joined Grandage, Molina and Enoch at their rehearsal space, located in Islington’s Union Chapel, whereby he explained his reasoning for reviving the show and how his relationship to its central themes have evolved over the past nine years. The rehearsal room is decked out with a variety of Rothko-esque canvases, which Grandage later reveals is purposefully meant to merely evoke a sense of similarity and not an exact replication of Rothko’s work. In addition there are various painting implements, including a working stove where, during the performance, paints are mixed and created in a truly authentic fashion. This is Grandage’s focus at the beginning, as he emphasises why such naturalistic direction is inherent to the central themes, and his particular rendition of Logan’s play. 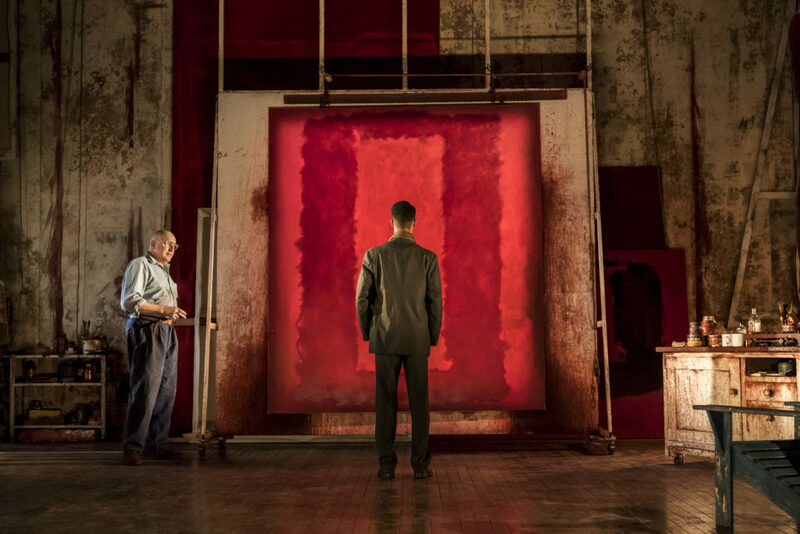 He explains how both himself and the cast ‘learnt the craft [of painting] together – in order to be entirely authentic’ and thus being able to ‘really understand the craft.’ Christopher Oram’s set design sees a recreation of Rothko’s studio space located in New York’s Bowery district in the late fifties. The real studio was based in an old baseball court, signified in the design by the lines drawn onto the floor of the stage which is also replicated in the rehearsal space. The play demands quite a lot of physical preparation from the actors. Molina, who previously played Rothko in Grandage’s production in both London and New York, states that this revival is a fresh take on the same production and the only integral part remaining from the original 2009 production is purely technical and associated with the artistic tasks within the play, e.g. mixing paint. The most laborious of these is priming a canvas, a scene which Grandage insists is central to the play and reveals that actions that may considered ordinary for an artist, are ‘quite exciting for an audience. It’s like seeing food being cooked on stage, we do it everyday but on stage it becomes transfixing.’ Whilst there is no actual scene of Rothko painting, every other aspect of an “artist-at-work” is explored, viscerally through Grandage’s production. The original production in 2009 had a relatively short run at the Donmar Warehouse, a venue with a much smaller capacity than Wyndham’s. Grandage, as well as Molina, reveals that this meant although it had a welcome reception later on Broadway, only a small portion of London audiences had a chance to see it. This is one of the main reasons for the revival, as well as how well the play thematically relates to our current sociopolitical climate. The central theme of the play revolves around the classic debate of why art is important, and in a time of ever growing cuts to the arts industry, it seems more appropriate now than ever to reignite such a debate. Grandage also points out his decision to bring the revival to a West End theatre is also to highlight these concerns right in the heart of the non-subsidised theatre world. He believes that by reviving the updated production, in a larger theatre and for a longer run, it already allows for the play to be more accessible than in 2009. Whilst the central themes of the play tackle the idea of the new versus the established – following a master teaching his student – this provides interesting parallels towards the current state of the industry, the subject itself may still in someway alienate a younger audience who are perhaps less familiar with Rothko. Enoch, however, vehemently believes that the central themes are relatable to all as he admits himself that he was largely unaware of Rothko’s life and work until auditioning for this very play. ‘The script is so well crafted that most people will resonate with its very universal themes’, Enoch claims. ‘It’s watching two intelligent people going “at it”, not different to say, a tennis match between Nadal and Federer, you don’t have to know much about tennis to understand why such an experience is worthwhile’. Additionally, Grandage adds that, as the play explores the idea of young, emerging artists, he too wants to focus on bringing in the new generation of audience members, theatremakers and reviewers by making sure a large proportion of the tickets are affordable for younger audiences.